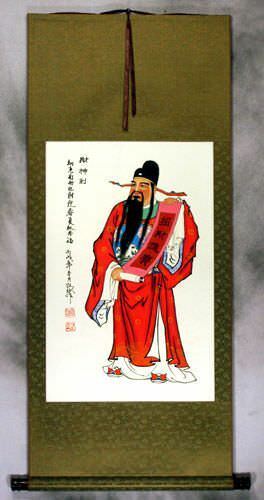 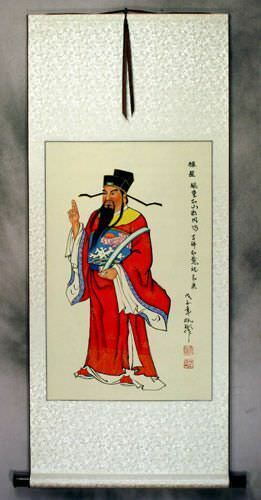 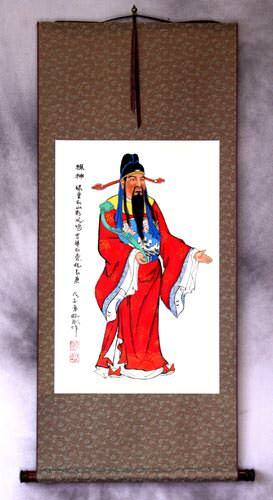 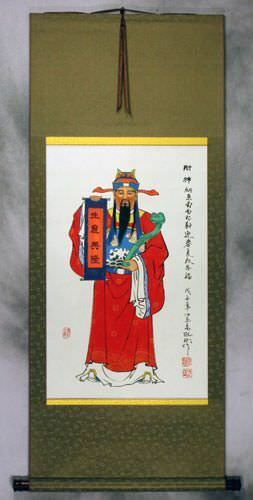 Silk/Brocade: 52.5cm x 123.5cm ≈ 20¾" x 48½"
This is the God of Prosperity or Prosperity Saint of China. 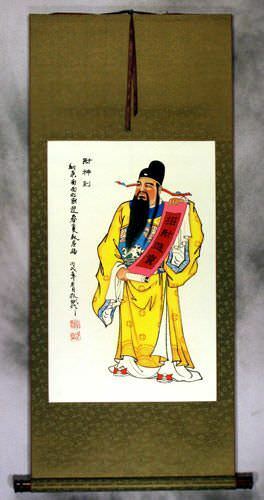 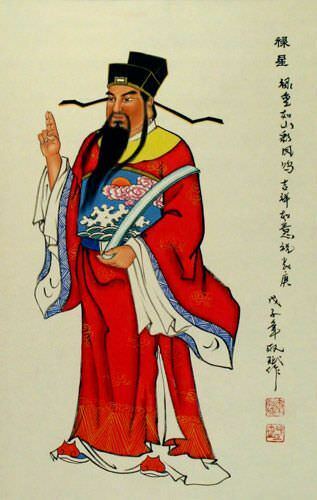 His formal name is Lu Xing (Prosperity Star), but his real name is believed to be Zhang Xian. 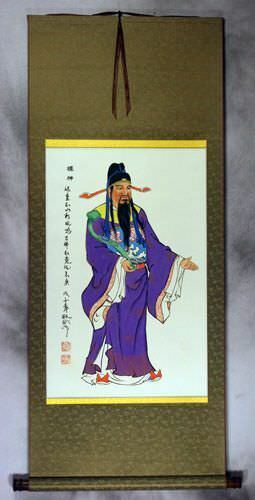 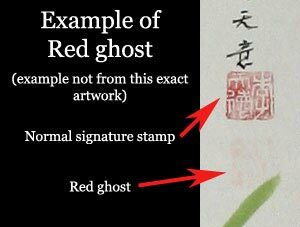 He lived during the Later Shu dynasty. 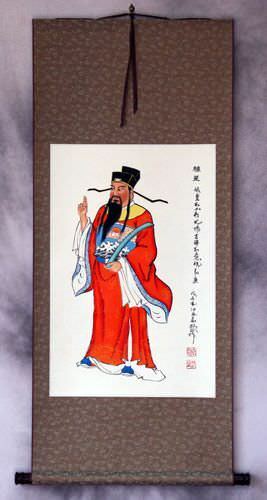 The word lu also refers to the salary of a government official. As such, the Lu star is the star of prosperity, rank, and influence.